Firefighters worked to put out a fire after an El Cajon home became fully engulfed in flames Monday night. 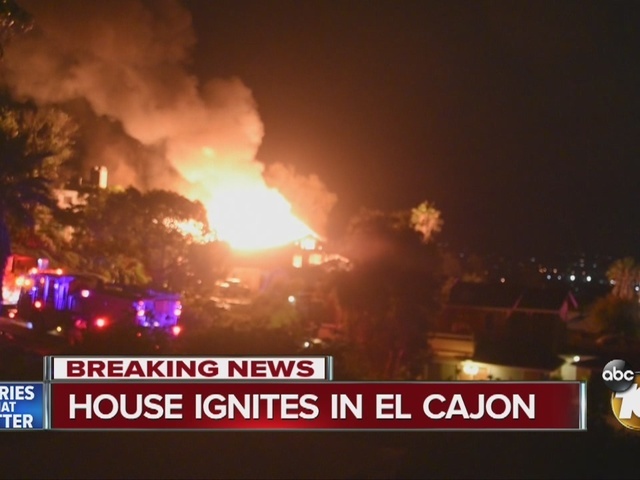 The fire broke out around 8:41 p.m. in the 1300 block of El Rey Ct. in El Cajon. Neighbors were worried the fire would spread to their homes. This is a developing story. More details will be added as they become available.